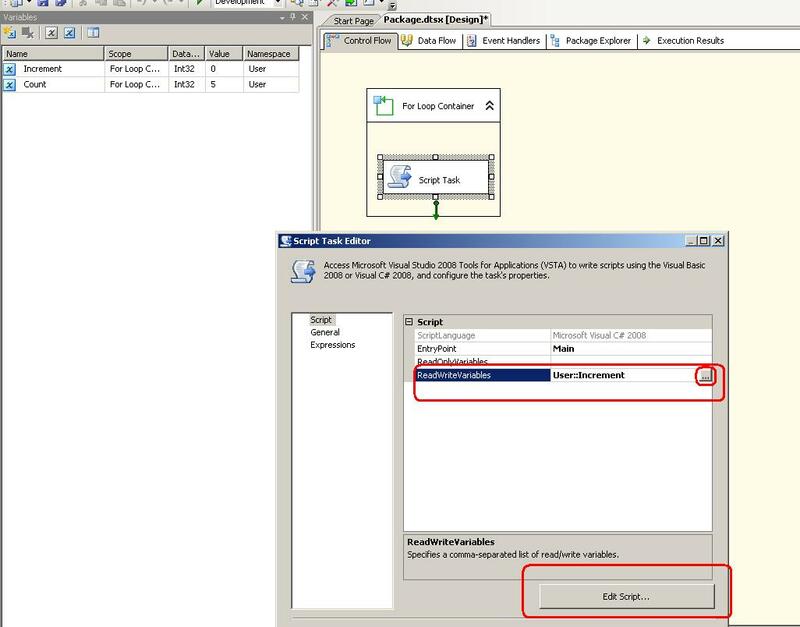 There are many occasions where you need to transfer data from one instance/database of SQL Server to another instance/database of SQL Server. May be archiving, may be for ware house etc. This is really very much needed utility, not only that, I have came across this question many times in different forums so though to explain this in my blog. Today, I am not going into much details of each aspect, just transfer data from one source of SQL Server to another source. Well, open new project from your VS2008. Project type “Business Intelligence Projects” and template should be “Integration services project”. 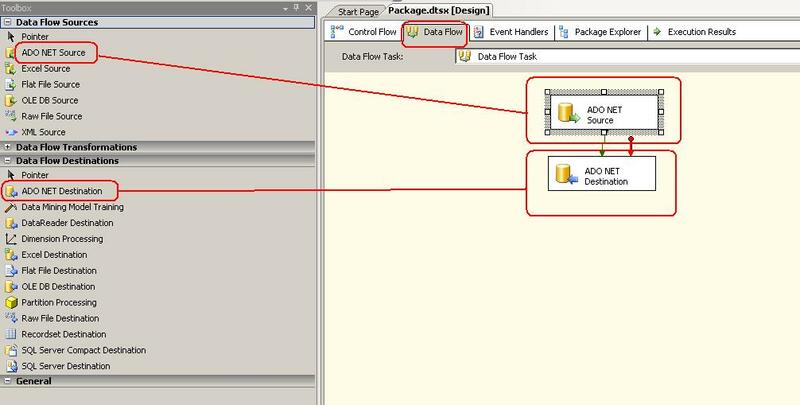 To configure that “dataflow” double click on that so that you will be redirected to the “Data Flow” tab, right beside “Control Flow” tab. Now, take Ado.Net Source and Ado.Net Destination task from tool box and drop it into your work area. Connect Ado.Net Destination with Ado.Net Source. Now we will configure both tasks one by one. 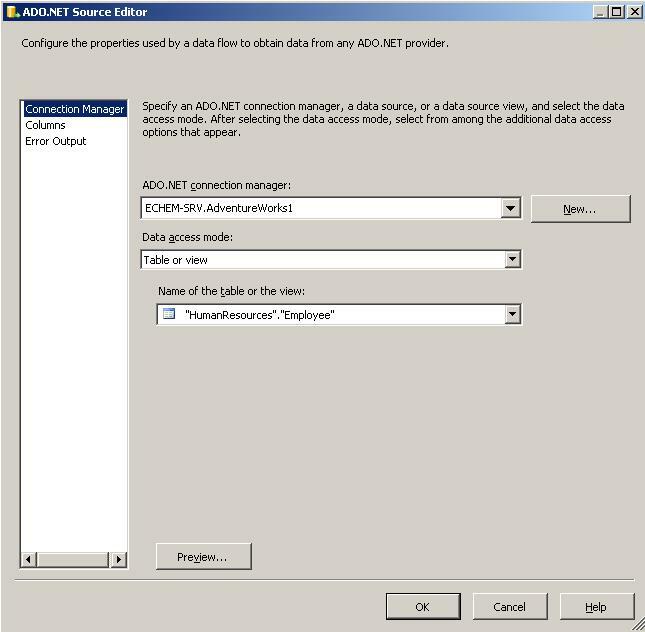 Double click on Ado.Net Source task to configure it. Note: I assume our source is AdventrueWorks database and HumanResouce.Employee table and destination is DataBaseNew on same server. Destination table should be created as “HREmployee” in destination database. 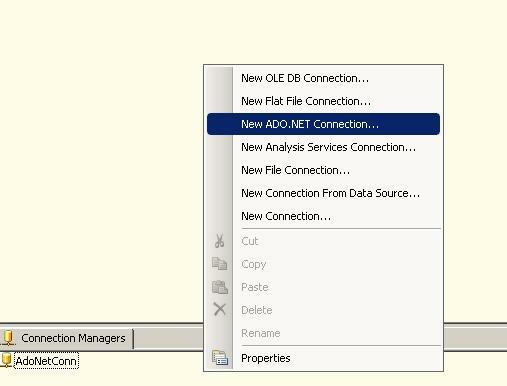 Create your database connection by clicking on “New” button in “Ado.net connection manager”. 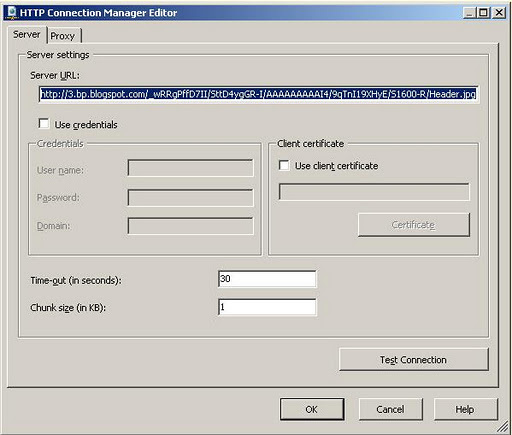 Now, double click on “Ado.Net Destination” task. Set the destination database. If you already have table in destination database than select it or click on “new” and create one. 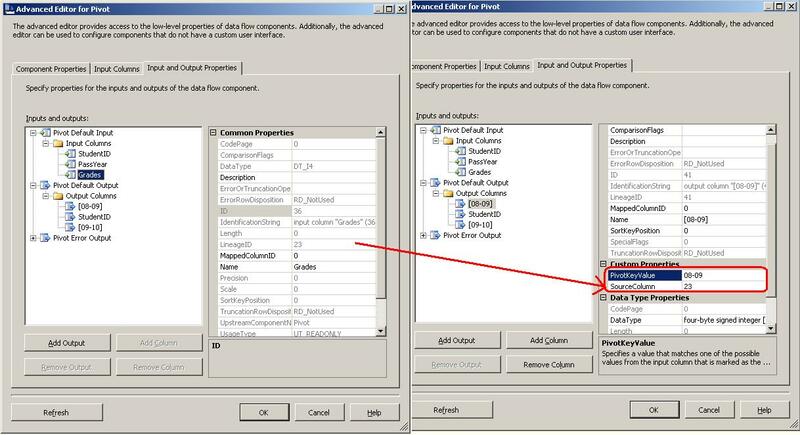 Finally click on OK button and run the package by hitting “F5” and confirm whether data is there in your destination database. This is really very basic example, I will post few more advanced article for this in very near future. 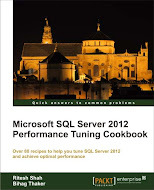 Looping is one of the powerful tools since very long in each programming language. 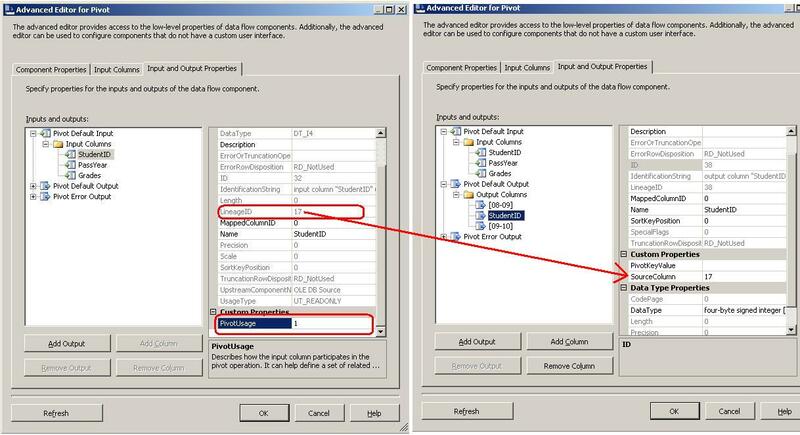 It has no different concept in SSIS too. 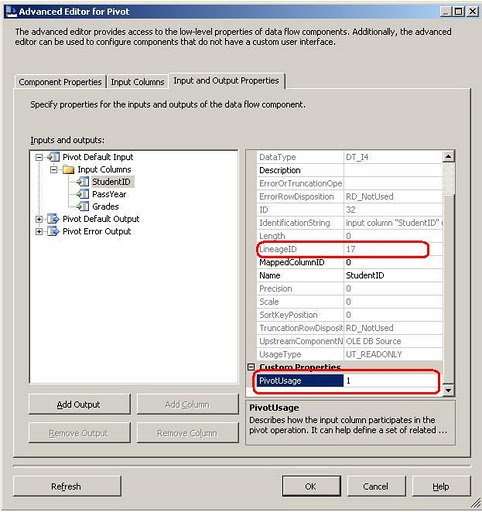 Here in SSIS, For Loop container defining repetitive control flow in a package. Generally in looping, three steps are very important. 1.) Initialization of loop variable 2.) condition for exiting the loop 3.) Increment/Decrement. 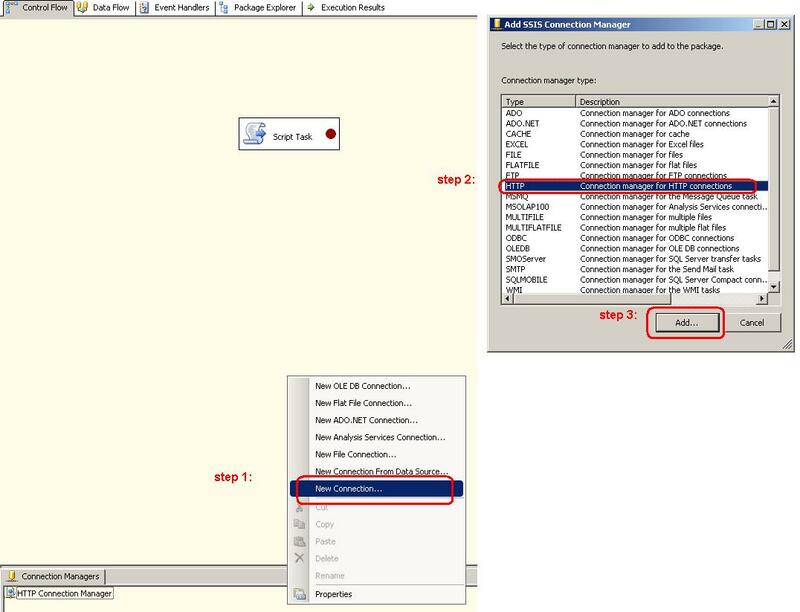 In SSIS too, you have to be familiar with three steps only in order to execute For Loop Container. Let us now see the small example. Create new project in BIDS (Business Intelligence Developer Studio) for this example and add two variables in the variable window. 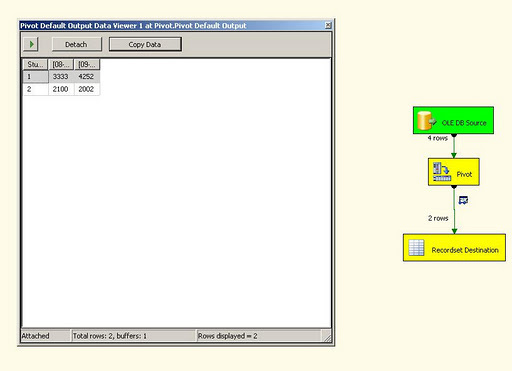 Once you are done with adding variable, drag For Loop container from tool box and drop it to the work area. 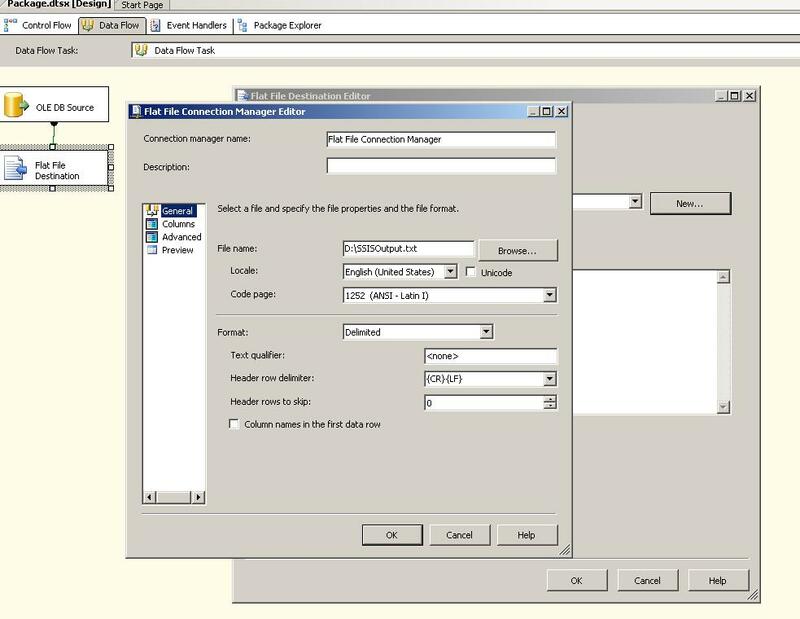 To configure loop container, double click on that. 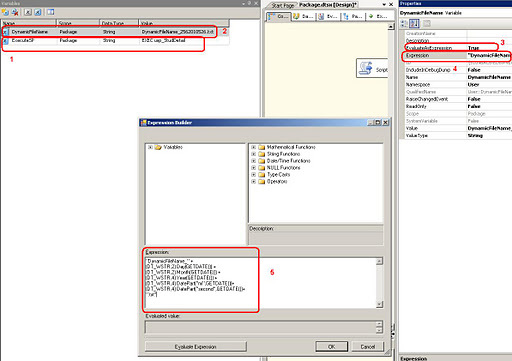 See the second paragraph of this article where I have mentioned three important steps for looping in programming language, same kind of three steps with different name we are setting up in “For Loop” container here in SSIS. For more details, look at below screen shot. Actually we are going to show message box for each iteration of “For Loop” container. Our Increment variable is set to 1 and it will run until it becomes greater than count variable which is 5. Show for displaying the message we are going to use “Script Task”. Once you setup “For Loop” container, drag “Script Task” from tool box and put it inside “For Loop” container, double click on “Script Task” to configure it. We are going to use “Increment” variable inside the script task to display which iteration is going on. 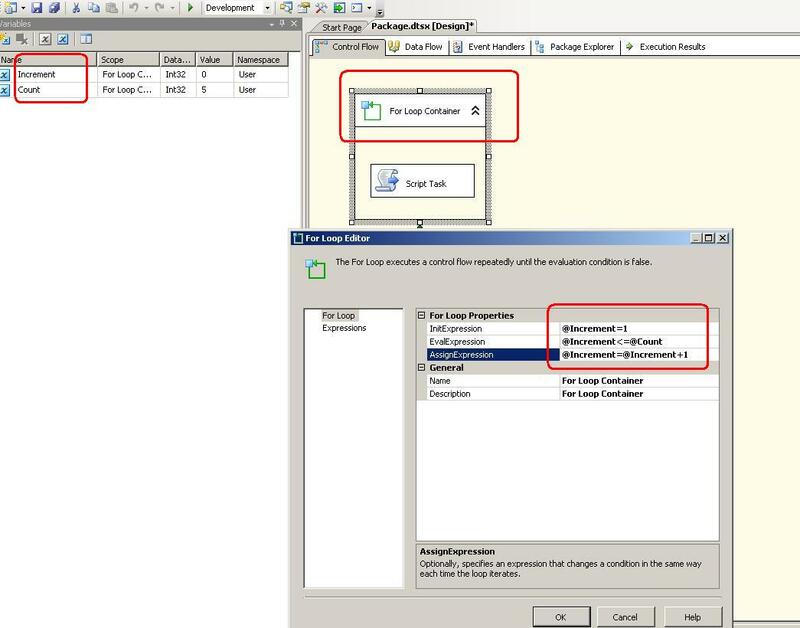 For using Increment variable, we have to select that variable in Script task. So, in “ReadWriteVariables” property of script task should have “Increment” variable, you can select that variable by clicking on Ellipse button besides “ReadWriteVariables” property. Once you set it, click on “Edit Script” button to write down script. Once, you will click on “Edit Script” button, you will find one script edition and find “Main” method, which is our entry point, in that script editor. 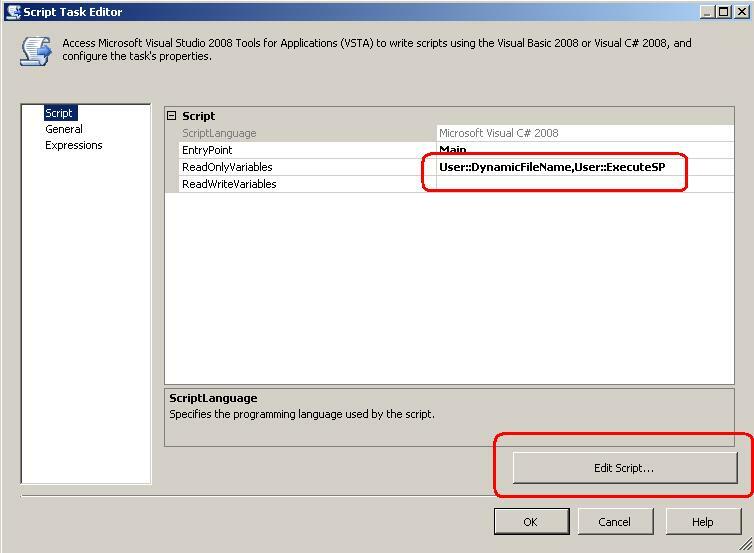 Put below given code in Main method and close “Script Editor” and click “OK” button in “Script Editor” dialog box. Now, you are ready to run this simple application by hitting “F5”.